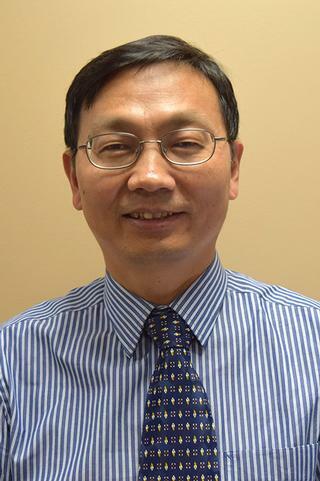 Dr. Yao's research interests include bone cell biology, osteoporosis, osteoarthritis/rheumatoid arthritis, bone metastasis cancer, and bone histomorphometry. Dr. Yao's research focuses on the mechanisms whereby cytokines regulate osteoclast and osteoblast differentiation and function through TRAF3-NF-kappaB signaling in vitro and in animal models of rheumatoid arthritis (RA), osteoporosis and bone metastatic cancers. 1. RA: Macrophages act as the master orchestrator of the joint damage in RA since 1) macrophages are the major producers of pro-inflammatory cytokines that mediate the local and systemic inflammation; 2) Macrophages induce angiogenesis to form inflamed pannus that invade articular cartilage and bone; and 3) Macrophages differentiate into osteoclasts to erode cartilage and bone of the joints. TNF strongly stimulates the differentiation of inflammatory macrophages with enhanced osteoclast forming potential and increased production of inflammatory factors through NF-kappaB RelB. Thus, depletion of TNF-induced inflammatory macrophages targeting RelB could be a novel strategy for RA therapy. 2. Osteoporosis is initiated by the increased bone resorption due to the excessive activity of osteoclasts associated with the un-matched bone formation. Anti-resorptive and anabolic drugs are available for the treatment of osteoporosis. The commonly used anti-resorptive drugs can result in bone necrosis, limiting their use. Teriparatide is the only FDA approved agent that stimulates new bone formation however its use is limited to 2 years due to the potential to induce osteosarcoma and it is suggested to be contraindicated in patients with bone metastatic cancers. Combined therapy with current anti-resorptive and anabolic drug does not offer advantages over the use of the single agent alone. We are developing new agents with dual anti-resorptive and anabolic effect targeting TRAF3-non-canonical NF-?B signaling proteins for the therapy of osteoporosis. 3. Bone is one of the most common sites of cancer metastasis, particular, in breast cancer and prostate cancer. The development and progression of bone metastatic cancers depend on cancer-bone cell (osteoclast and osteoblast) interactions. Cancer cells produce factors, such as PTHrP, IL-6 and IL-8, to enhance osteoclast formation and bone destruction by promoting RANKL production by osteoblastic cells. Factors released during osteolysis from bone matrix, such as TGFbeta1, IGF and FGF, stimulates tumor growth. Some of these released factors, such as TGFbeta1, also inhibit bone formation. Our goal is to develop an "All-in-One" agent that simultaneously induces cancer cell death, inhibit osteoclast and stimulate osteoblast differentiation to prevent breast cancer bone metastasis. Yao Z, Lei W, Duan R, Li Y, Luo L, Boyce BF. "RANKL cytokine enhances TNF-induced osteoclastogenesis independently of TNF receptor associated factor (TRAF) 6 by degrading TRAF3 in osteoclast precursors." The Journal of biological chemistry.. 2017 Jun 16; 292(24):10169-10179. Epub 2017 Apr 24. Krieger NS, Yao Z, Kyker-Snowman K, Kim MH, Boyce BF, Bushinsky DA. "Increased bone density in mice lacking the proton receptor OGR1." Kidney international.. 2016 Mar 0; 89(3):565-73. Epub 2016 Jan 06. Boyce BF, Xiu Y, Li J, Xing L, Yao Z. "NF-?B-Mediated Regulation of Osteoclastogenesis." Endocrinology and metabolism.. 2015 Mar 27; 30(1):35-44.